Scuderia Ferrari needed a strong 2017 season after a winless 2016 campaign. This year, the tifosi was presented with a massive rallying cry thanks to the SF70H race car being wheeled by Sebastian Vettel and Kimi Raikkonen. At the first race of the 2017 Formula 1 season in Australia, the prancing horse stormed out of the starting gate against the established Mercedes AMG juggernaut. More than just a race win, Sebastian Vettel’s 2017 Australian Grand Prix victory sent an affirmative message to the motorsport world that the Mercedes AMG could be beaten on pure race pace. While Hamilton and Mercedes AMG grabbed the second race of the season in China, Vettel countered by taking the next event in Bahrain. Winning a total of four grand prix races in 2017, Sebastian Vettel has nosed-out a 14-point lead over Lewis Hamilton in drivers’ championship after 11 events. In the team’s second Ferrari, Finnish driver Kimi Raikkonen has been enjoying a consistent season. Raikkonen has placed on the podium for four races so far in 2017 and has played a valuable role in Ferrari’s battle in the constructors’ points. While Ferrari was able to beat the Mercedes AMG cars three times this season, Ferrari has gone through some unpleasant moments in 2017. A win in Monaco by Sebastian Vettel was an uncomfortable 1-2 finish for Ferrari. Kimi Raikkonen started on pole at the Monaco Grand Prix but had to settle for the runner-up spot due to questionable pit strategy where Vettel was allowed to gain an advantage through the first round of pit stops. Assessed by analysts as team orders favouring Vettel, Raikkonen was visibly displeased with the result during podium festivities. 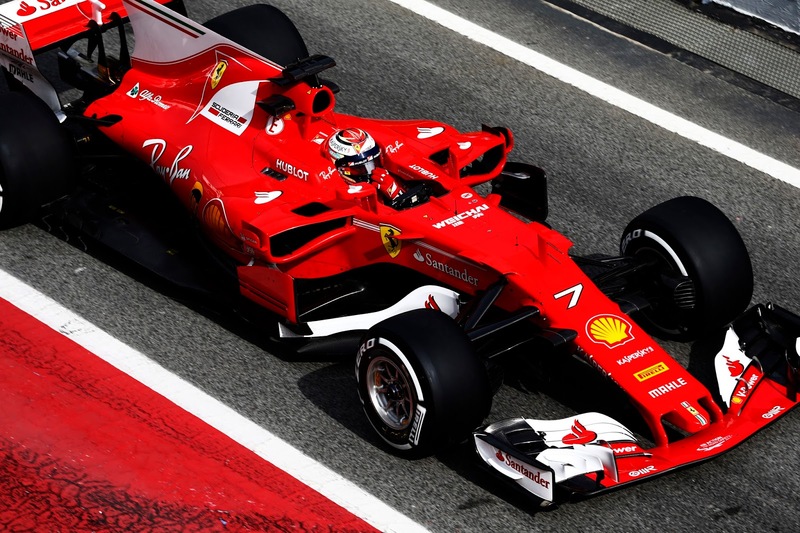 The Scuderia Ferrari squad has already exploited the mortality of Mercedes AMG in 2017 in a manner no rival had accomplished since the beginning of the 2014 season. With Sebastian Vettel leading the drivers’ championship and the team firmly in the constructors’ title hunt, there is a change for Ferrari to massively disrupt the Silver Arrows’ modern Formula 1 dynasty. In light of a highly contentious drivers’ championship battle between Vettel and Hamilton, we should expect to see Kimi Raikkonen become a support player in the remaining races of 2017. Images posted on 1 Racing Mind is property site's creator unless specified otherwise. Usage otherwise is prohibited unless provided with permission.